Luke Bailey specializes in employee benefits law and executive compensation. He has extensive experience in the tax and fiduciary requirements of qualified retirement and other employee benefit and executive compensation plans of both private and public corporations and state and local governments. Luke has acted as counsel in connection with the formation of many employee stock ownership plans (“ESOPs”) and has also represented lenders in leveraged ESOP transactions. He has extensive experience with the special problems that can arise in connection with the qualified retirement plans of medical and other professional service organizations, including the “affiliated service group” rules, employee leasing, and out-sourcing. 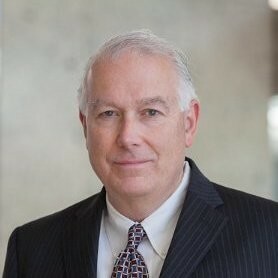 He also has extensive experience in the areas of IRC §§403(b) and 457(b) and (f) plans of state and local governments, universities, and charities, and in welfare benefit plans, including medical plans, “cafeteria” plans, voluntary employee beneficiary associations (“VEBAs”), employee leasing and co-employment, COBRA, individual retirement accounts, and fringe benefits. A significant portion of Luke’s practice consists of federal income tax compliance work for sponsors of governmental pension plans under IRC §414(d). His work in the executive compensation area includes the design, drafting, and provision of tax and legal advice concerning stock option plans, nonqualified deferred compensation, severance pay plans and arrangements, and executive employment agreements. A substantial portion of Luke’s work in the area of executive compensation consists of advising companies and executives with respect to the “golden parachute” rules of IRC §§280G and 4999, the $1 million limit on public company deductions for nonperformance-based compensation under IRC §162(m), and the rules applicable to nonqualified deferred compensation under §IRC 409A. About Us: Clark Hill is a multidisciplinary international law firm that draws on its attorneys’ comprehensive industry and policy knowledge, deeply held shared values, and a global network of premier firms and advisors to provide effective legal solutions and client-service excellence. One of the top 100 firms in the United States — with over 600 attorneys and professionals in 25 offices across the nation, as well as offices in Dublin and Mexico City, we are a committed partner to a diverse range of leading brands, forward-thinking businesses, public entities, nonprofit organizations and individuals. Our significant presence in Washington, DC, and our deep government relations and public affairs experience at every level help ensure that our clients’ voices are heard in the development of federal and state regulatory policy and legislation.